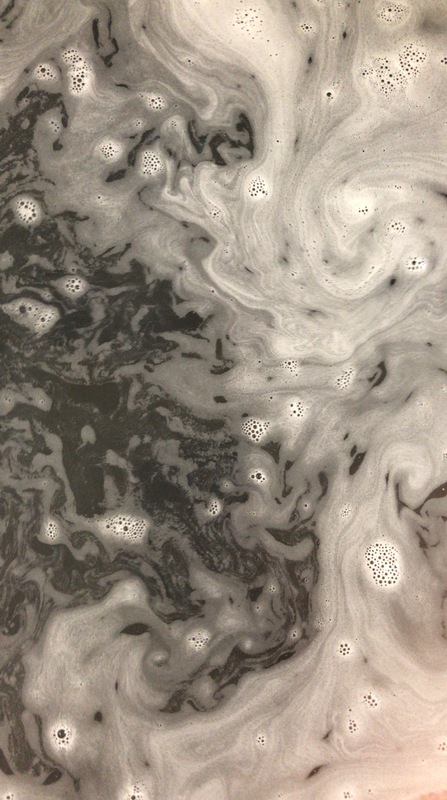 This bath bomb gave me a beautiful dark grey bath. It smelled a bit masculine and earthy, with just a dash of sweetness. I was blown away not only by the size, but by the color too! 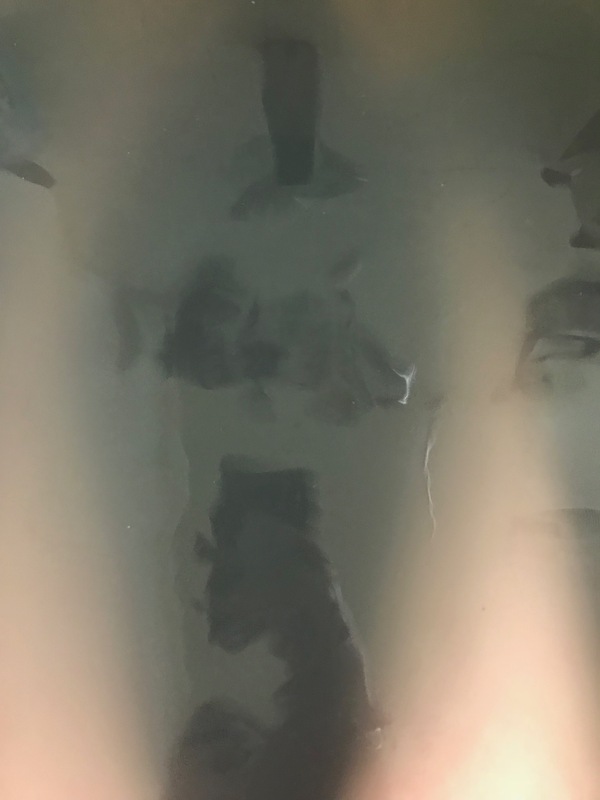 Now, this isn’t a lush bath bomb that is made for the show, but honestly, soaking in the near black bath, I felt really intense. It was the perfect way to kick off autumn! It also had some incredible oils in it, making it soothing as heck. A big part of my night time routine is soaking; either my whole body or just my feet. This was definitely a whole body experience, and I’m glad I cut it in half! 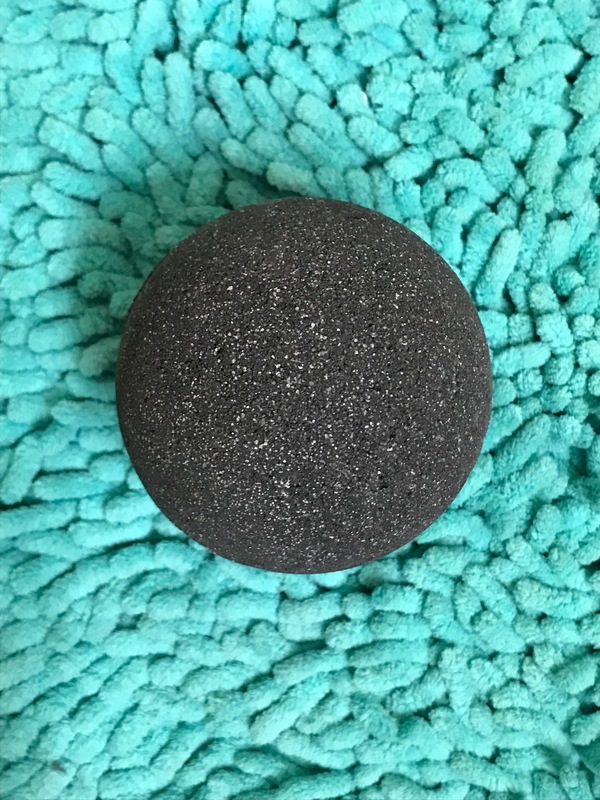 A couple things to look out for if you’re trying out this, or any other bath bomb. If there are oils, they’ll make your tub slippery. Please exit with caution, and be aware for the shower the next day. Also, if there is color in it, it may leave some residue on your bathtub. I found that with a little bit of rubbing the next day, during my shower, all of the residue came off. Altogether, I think this is a fantastic bath bomb. It’s perfectly spooky, smells calming, and leaves your skin nice and soft. If you have time to visit (or want to order online), you can check them out here.